TAMPA, Fla. | January 27, 2014 – A leaf from the Missal of Ludovico da Romagnano, a 15th century manuscript known as the San Lorenzo, was repatriated to the Italian government Monday by U.S. Immigration and Customs Enforcement’s (ICE) Homeland Security Investigations (HSI). It was stolen nearly 25 years ago from the Capitular Archive of the Archdiocese in Turin, Italy. Susan McCormick, special agent in charge of HSI Tampa, A. Lee Bentley III, acting U.S. attorney for the Middle District of Florida, and Adolfo Barattolo, the consul general for the Italian Consulate in Miami, participated in the repatriation ceremony. 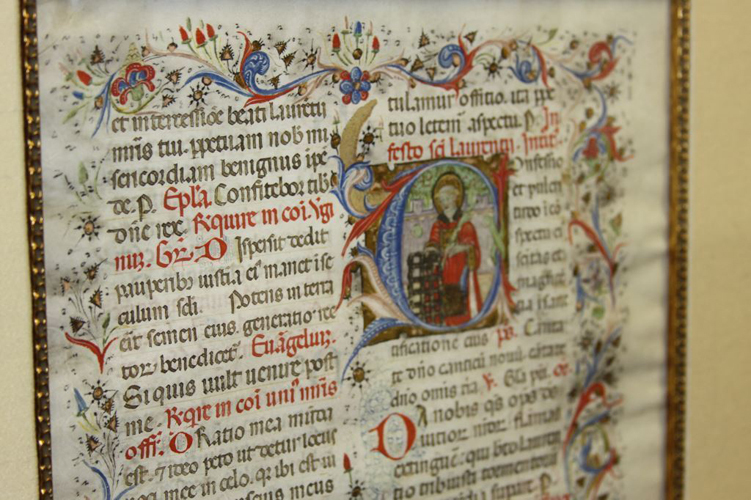 In 1990, the Archdiocese in Turin hired a team of professors to inventory the church’s ancient archives in preparation for an upcoming exhibit. After that inventory concluded, the Archdiocese determined 263 parchment pages had been cut from a missal, a breviary and an antiphonary. They were all from the same collection. Additionally, a number of rare books were missing from the archives. 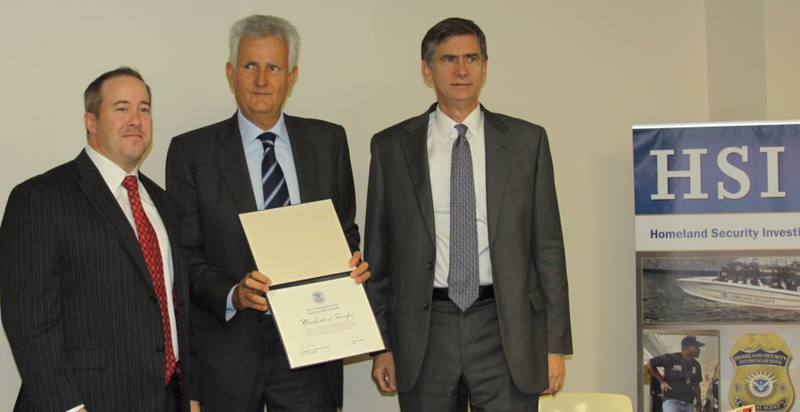 Italian authorities conducted an investigation that resulted in the arrest of two individuals – Pier Luigi Cimma and Franca Gatto. These individuals, husband and wife, were two of the professors who participated in the 1990 inventory, which provided them access to the church’s ancient archives. Cimma and Gatto confessed to the authorities that they had stolen several items, most of which they sold to a bookseller in Turin, Italy. 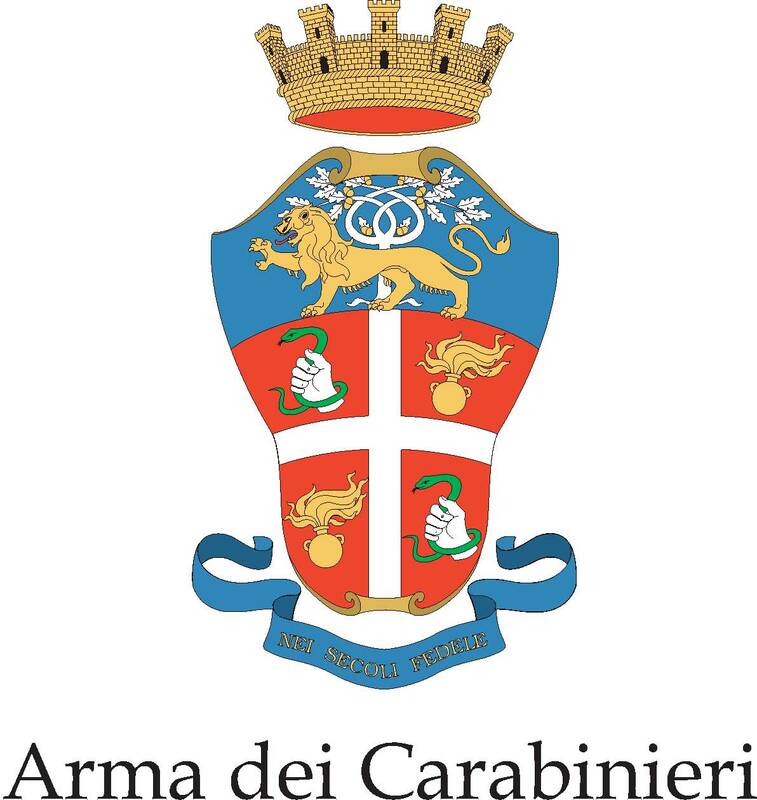 The Monza Nucleo dei Carabinieri Tutela Patrimonio Culturale in Italy, a specialized police unit for cultural property, recovered some of the stolen items from Sotheby’s in London. In April 2011, an officer from the Carabinieri unit, while browsing online, discovered a newspaper article from January 2006. That article detailed information on an upcoming exhibition at the Florida International Museum called “Ink and Blood.” The exhibit detailed the development of the Bible. 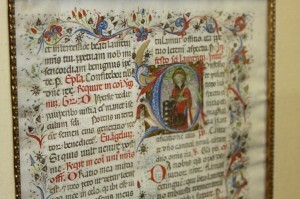 The article touched on an illuminated manuscript promised to the Special Collections Department at the University of South Florida Library. The manuscript was from a 15th century Italian missal, which was not only a religious document, but also a common form of art in the Middle Ages. The Carabinieri called Professor Constanza Montel Segre as an expert witness in June 2011 to confirm the manuscript featured in this newspaper article was the one stolen from the archives. She confirmed with certainty that the 15th century manuscript was the San Lorenzo, page 212 from the Missal of Ludovico da Romagnano. In March 2012, HSI Tampa received a mutual legal assistance treaty request from the Italian government for assistance in, among other things, recovering the manuscript. With assistance of the University of South Florida, HSI special agents located the manuscript at a residence in St. Petersburg. The individuals in possession of the manuscript were unaware it had been stolen and exported from Italy in violation of Italian law. They had purchased the manuscript in 1997 from an art dealer in Islamorada, and they provided a receipt for the purchase. With information taken from the sale receipt, HSI special agents located and interviewed the owners of the Islamorada antique book and map store where the St. Petersburg couple purchased the manuscript. The store owners often traveled to England to attend book auctions and other similar events to obtain items for their store. The item was likely purchased in England – where the Italian government had previously located several other stolen Italian artifacts – and transported back to the United States. The store owners did not know the manuscript was stolen. Through his attorney, the individual in possession of the manuscript voluntarily surrendered it to the U.S. government in June 2012. HSI plays a leading role in criminal investigations that involve the illegal importation and distribution of cultural property, including the illicit trafficking of cultural property, especially objects that have been reported lost or stolen. The HSI Office of International Affairs, through its 67 attaché offices in 48 countries, works closely with foreign governments to conduct joint investigations, when possible. HSI specially trained investigators, assigned to both domestic and international offices, partner with governments, agencies and experts to protect cultural antiquities. They also provide cultural property investigative training to law enforcement partners for crimes involving stolen property and art, and how to best enforce the law to recover these items when they emerge in the marketplace. Since 2007, more than 7,150 artifacts have been returned to 27 countries, including paintings from France, Germany, Poland and Austria, 15th to 18th century manuscripts from Italy and Peru, as well as cultural artifacts from China, Cambodia and Iraq.